I remember the controversy over this layout. It caused a stir! 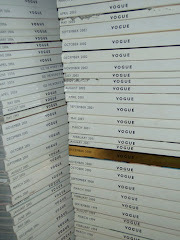 either i used to spend more time really studying the spreads in vogue, or else they used to be more powerful, but i can't recall anything in recent years that could stick with me the way this one did. it's just, in a word, memorable.